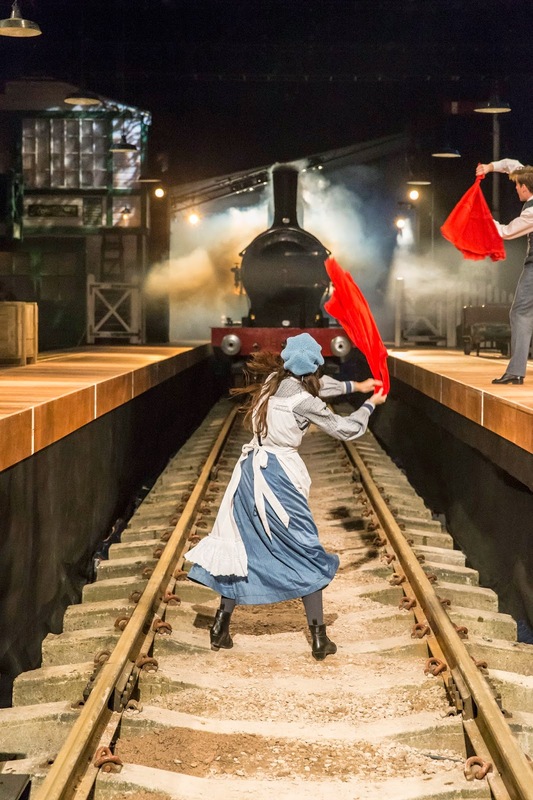 We all know that moment in The Railway Children….there’s been a landslide, the track is strewn with rocks and rubble that can only spell disaster for the train we can hear approaching in the distance. In the book it is gripping, whilst in Lionel Jefferies’ acclaimed movie the moment is almost terrifying. And now, thanks to the ingenuity of the National Railway Museum, Mike Kenny and Damian Cruden the spectacle is being brought to life for real in a theatre built on a reclaimed good yard near Kings Cross, as 80 tons of genuine steam train emerges, amid billows of smoke and the screeching of brakes. So how can such a pivotal event in our nation's culture become even more exciting? Simple. You get a chance to drive the actual train! I’ve loved trains forever and especially steam trains. So when Ben Hewis of WhatsOnStage.com, late one evening last year tweeted a request for #StageyBucketList suggestions, it only took a moment, sprawled across a sofa at home and helped by the whisky I was sipping, to promptly tweet back that given half a chance I’d love to drive the train in The Railway Children (or @TRCKingsCross as the production is called on Twitter). Ten minutes later my phone pinged and I almost (but thankfully didn’t) spilt my scotch in surprise. It was @TRCKingsCross, tweeting back a reply and saying that they could make my wish come true! And so it was that I found myself on the footplate of that marvellous engine, awaiting my cue to steam into the auditorium. The excitement was building, the smoke was built up back stage so that the train emerged through billowing clouds – and then, with a jolt, we were off. Lit by the orange glow of the engine’s roaring fire and with the actors on the track in front, waving desperately for me to stop the train, I desperately strived to bring this massive, beautiful machine to a brake-screeching halt. Just in time…. 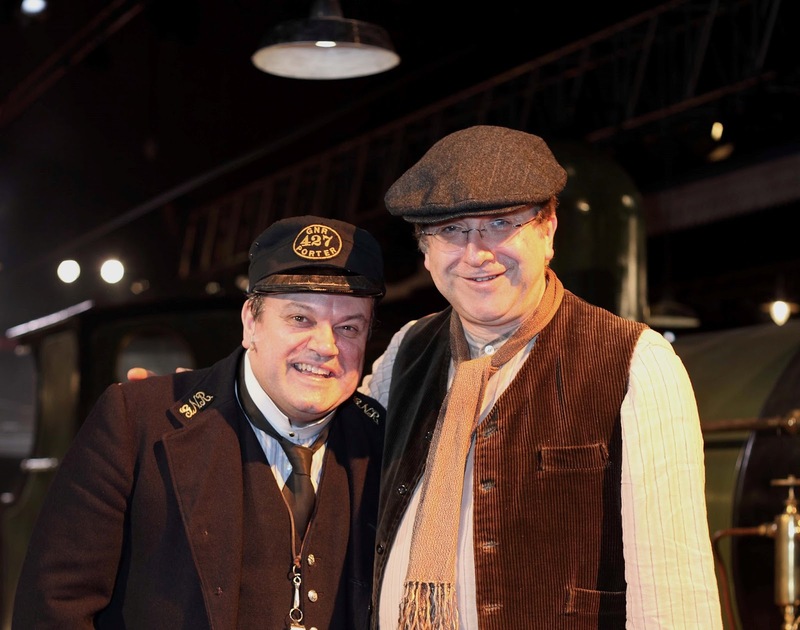 It wasn’t just the excitement of driving the train in the show though. The glimpse behind the scenes at Kings Cross was fascinating. There was Alison and Dominique in the wardrobe department who had miraculously assembled a costume that fitted me perfectly. The warm welcome of the cast who took my awestruck amateur dramatics into their bosom and made me feel so welcome, especially the show’s regular train drivers who showed this novice just what to do. 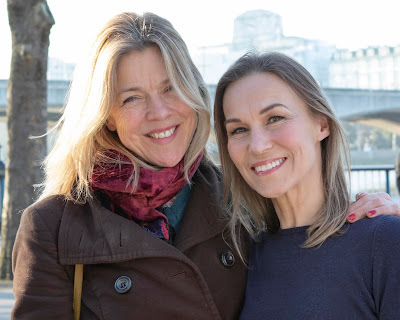 And in act two, when I was a passenger on the train, thank you Connie Hyde, who guided a terrified first-timer (me) to exactly where I had to sit and walk for the show’s Finale. Shaun Williamson who currently leads the cast as Mr Perks was a delight and a special thanks to resident director Michael Vivian who patiently took me through a crash course (literally) in train driving, telling me where I needed to be and when. To be invited backstage of any show is a treat, to take a peek into that world of make believe where a theatre company create their stories. But to cross the line and, for one fabulous night only, to actually become a part of that magical process we call “theatre” was, quite simply a privilege and a night I shall never forget. A massive thank you to everyone at The Railway Children. I was chuffed! PS Before you think that letting me loose at the train’s controls was a reckless failure of health and safety by the producers, let me assure you that the technology and safety processes - and just a hint of theatre magic too - in place at the Kings Cross Theatre ensure that at all times the show's audience, cast and crew remain completely safe.